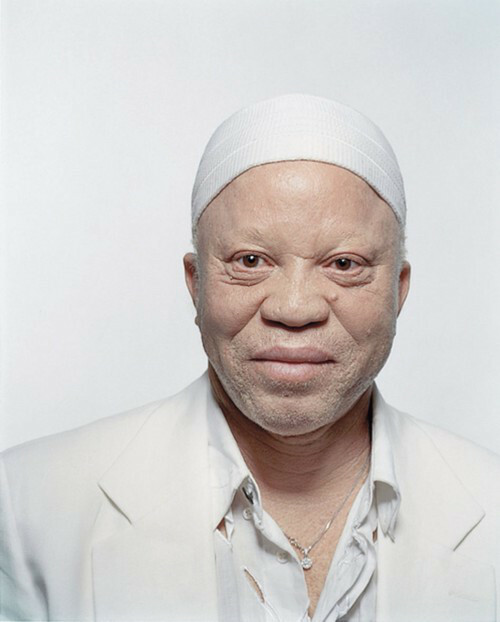 Salif Keita is a Malian musician and singer, born in Djoliba, Mali on August 25, 1949. He claims descent from the founder of the Mandingue Empire, Sundiata Keita. His albinism (absence of melanin in his skin) influenced his youth as he was partially rejected by other children. Moreover, he was not able to become a teacher because of the poor eyesight caused by his depigmentation. His desire to become a musician led his father to reject him since a member of a noble family wasn’t supposed to live as an artist. In 1968, Keita left for Bamako, the capital of Mali and there began his first band, the Rail Band de Bamako, which became the orchestra of the train station’s hotel. In 1973, he founded a new band, Les Ambassadeurs, but in 1978, he left Bamako for Abidjan, the capital of Cote d’ Ivoire, and recorded his first album there, Mandjou, in which he praises the Mandingue culture as well as the Guinean president of the time, Sekou Touré, who decorated him few months before. This album was a major success in Western Africa and led to Keita’s first significant international recognition. In 1980, Keita went to the United States to record “Primpin” on the Album Tounkan. Five years later, in 1984, he participated in the Festival des Musiques Métisses at Angoulême in France. His successful concert there brought him to Montreuil, the Parisian suburb that is the heart of the Malian community in France. In 1985 he also participated in Manu Dibango’s song “Tam Tam pour l’Afrique,” which help alert the West to Ethiopia’s famine crisis. In 1987 Keita released a new album, Soro, the success of which garnered him an invitation to appear in the London, UKconcert for Nelson Mandela’s 70th birthday. His two albums in 1988 and 1990, Ko-Yan and Amen produced by Carlos Santana, allowed Keita to call for inter-cultural exchange and understanding. In 1990 he also created the association “SOS Albinos,” to help Albinos victims of oppression in Western Africa. He praised Mandela and pan-Africanism in his last album recorded in France, Folon (1995). Salif Keita returned to Bamako in 1996 to open his own studio in order to help local young artists. In 1999, he went to Festival de Cannes to promote the only African movie of the competition, and released a new album with Grace Jones titled Papa, which allowed him to honor his father. In 2001, Keita opened a club in Bamako called Moffou and released an album of the same name. In 2004 following three giant concerts in Bamako attended by thousands of fans, he received a Kora award (African Grammy), and was nominated as “UN ambassador of Sport and music,” to mark his importance in the African musical world. The international recognition continued in 2009 with a Victoire de la Musique (French Grammy) for his album “La Difference,” and his designation as a “Peace Ambassador” by the African Union in 2010. George Varga, “Salif Keita, Legendary “Golden Voice of Africa”, set for a rare San Diego concert”, The San Diego Union Tribune, March 5, 2017, http://www.sandiegouniontribune.com/entertainment/music/sd-et-music-artscal-keita-20170301-story.html; “Salif Keita, Biographie”, RFI Musique, January 2010, http://musique.rfi.fr/artiste/musiques-monde/salif-keita; The Editors of Encyclopaedia Britannica, “Salif Keita, Malian Singer-Songwriter”, Encyclopaedia Britannica, September 16, 2014, https://www.britannica.com/biography/Salif-Keita-Malian-singer-songwriter.